Come bask in the warmth of the Sunshine State! You already know that Florida’s THE place for theme parks. During one of our Florida student vacation packages, you will have days to explore Walt Disney World’s four magical theme parks and Downtown Disney District. Take your picture with your favorite characters like Anna from Frozen, Winnie the Pooh, and Mickey Mouse himself! Then sample food and cultures from all over the globe at Epcot Center. After enjoying the magical world of Disney, you can head to the Universal Orlando Resort, where you go behind the scenes into the fantasy world of movie-making. You’ll scream at the dinosaurs of Jurassic Park, then go to Hogwarts for a Quidditch match before meeting ET. And what better way to end the day than by meeting some of the biggest performers of Sea World? We mean really big- like killer whale big! Get wet at Shamu Stadium, as orcas, dolphins and seals perform their amazing tricks for you! Tired of theme parks? 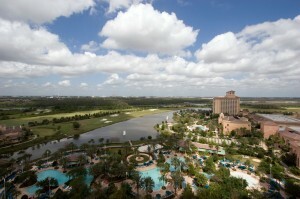 Then enjoy a few rounds of golf at one of Orlando’s world-famous courses. 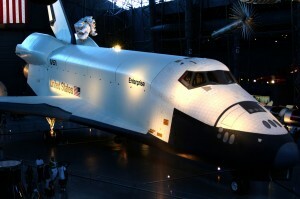 Not far from Orlando, visit the Kennedy Space Center, where the space shuttles were launched. There you can experience the thrill of liftoff as you watch IMAX movies and enter a shuttle launch simulator. Want something even more different? Come to Miami, where you’ll hear as much Spanish as English, and the whole city pulses to a Latin beat! 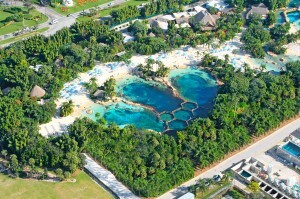 All these Florida student vacation packages are designed for students arriving in Orlando. These itineraries can be combined in any order and can be customized to any length to make your trip to Florida perfect for you!